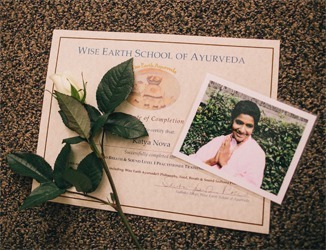 Wise Earth School of Ayurveda is the first school for Ayurveda teachings in the USA founded by Maya Tiwari. 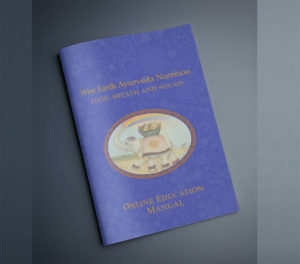 Established in 1981, Wise Earth Ayurveda® unique curricula in Inner Medicine® Healing has restored Ayurveda’s long lost knowledge of nature’s interrelated nourishers — Food, Breath and Sound (annavidya, pranavidya, and mantravidya). Are you ready to discover the primordial key to wholesome health, happiness, and harmony? Wise Earth Ayurveda: Kitchen Sadhana ( Food, Breath and Sound ) teaches you to own your inner medicine power. By restoring the ancient wisdom of Ayurveda, you connect to the core intelligence of Mother Nature’s nourishers with Food, Breath and Sound.